Looking back, tribes helped us survive. Today, tribes are groups of people who share similar social pursuits. If someone enjoys cats, fanboys over Star Wars or binge watches Game of Thrones, then they’re part of a tribe. The potential for niche social groups is enormous. While there’s an infinite number of tribes connecting on the internet, the way they behave is primed for strong, positive leadership. Godin phrases the opportunity for brands this way, “The secret of leadership is simple: Do what you believe in. Paint a picture of the future. Go there. 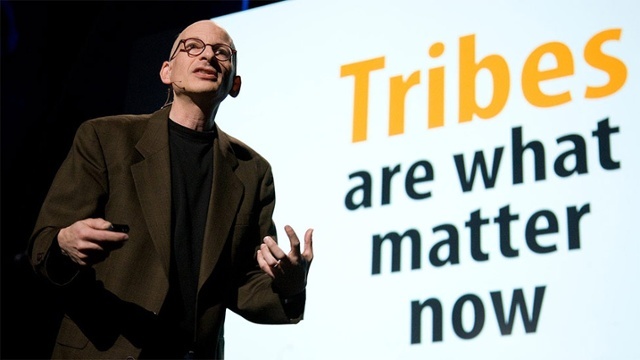 People will follow.” This is how marketers can engage and lead these tribes. To capitalize on this idea, look beyond demographic boundaries and examine your audience by looking at their cultural attributes—instead of focusing first on numbers. Technologies like the internet and social media have created vast, generationally-shared experiences that can be identified with a little digging. With whom are they sharing it? If you start to think about these consumers as tribes, and consider their social activities, you’ll have the knowledge you need to create content you need to position your brand as a leader when engaging your tribe. This is how relevant videos, social media posts, newsletters and blogs come into play. In sharing content with your tribe this way, marketers can build a targeted, loyal audience that gives the brand permission to market to them. In summary, find a disconnect, then, provide value by leading others in need of connection or leadership. Set the standard instead of following. If you’re interested in learning more about how a long term tribal marketing strategy could help your organization gain better consumer insights to grow your brand, then contact us at Connexion Research to learn more.